Four Chapters On Freedom is a book based on Rishi Patanjali s Yoga sutras. Patanjali s Yoga Sutra is considered to be the theoretical foundation of Raja Yoga and is one of the most important discourses on yoga and meditation. 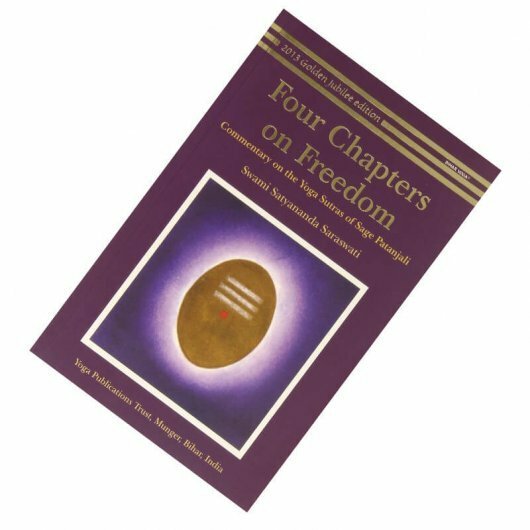 Four Chapters On Freedom book consists of four parts, Samadhi Pada, Sadhana Pada, Vibhuti Pada, and Kaivalya Pada, each containing 195 sutras or maxims. The book includes the four parts of the Sanskrit text, along with their translation. Swami Satyananda Saraswati has covered each verse with in-depth explanation and commentary, and has also explained the path to master Raj Yoga. His discourses on yoga and its philosophy will help every individual who is looking to tread down the path of enlightenment through meditation and contemplation.